A toolkit for modern business Currently, Bearbook is giving users to create invoices against the hours worked without any difficulty, and also setting up the processes to keep their time tracked for the ongoing project. As a business, Bearbook will focus on providing a platform for SME’s, remote workers & business professionals etc. Earlier, people used books to write down tasks and activities that have to be done. But now in a digital world, managing all work-related projects and personal projects in a single book can be hectic and near to impossible. So in this digital world to handle projects and tasks we designed a digital kind of book, that is BEARBOOK. 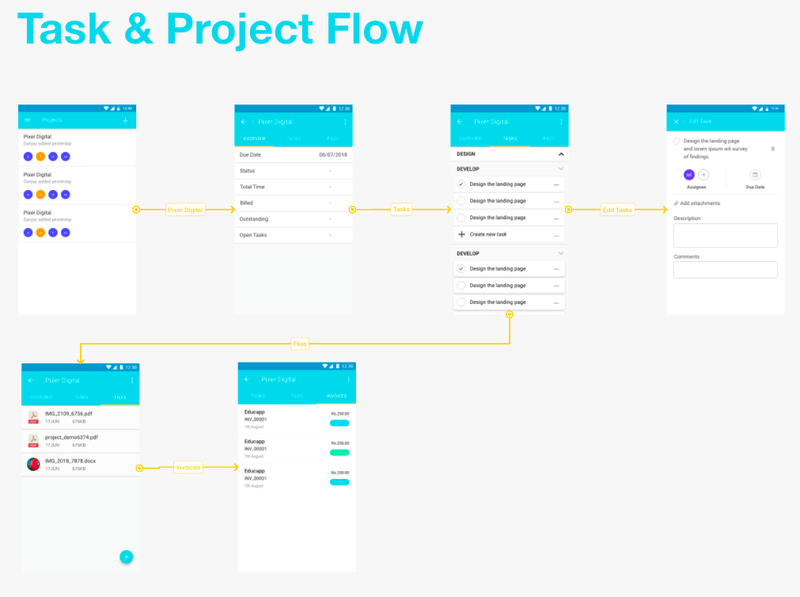 BEARBOOK: Project Management tool is an app that carries and manages all your projects and tasks. Its one of the simplified project management tool and can surely take the stress out of you from your work routine. 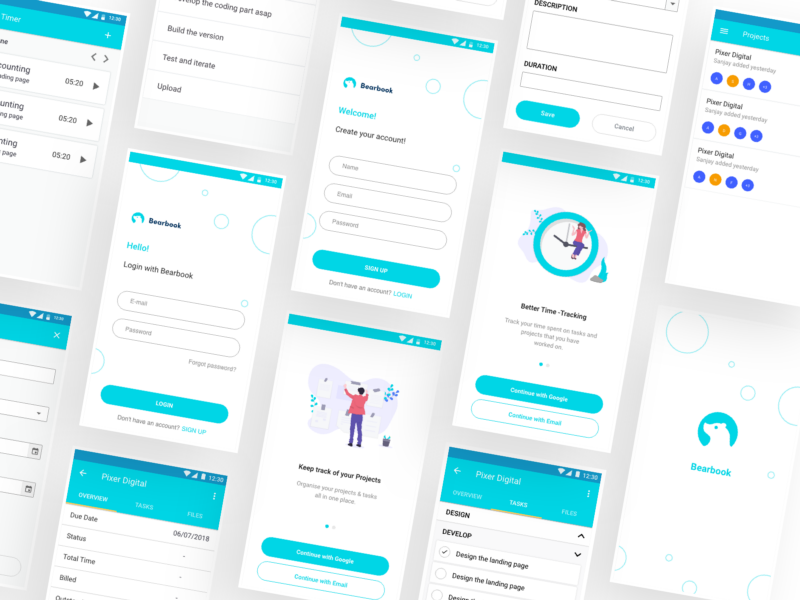 Designing a TO-DO, TIME TRACKING and DOCUMENTS saving mobile app that is highly customizable, highly interactive and has the ability to bring and maintain user engagement with strong user experience methods. · What is your gender? · What is your employment status? 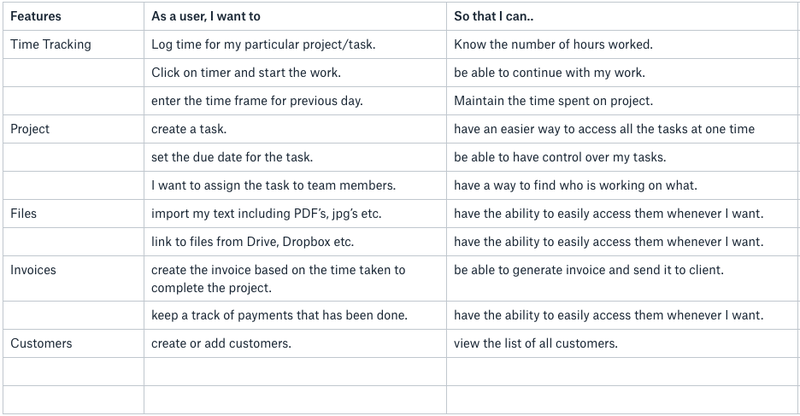 · What is the advantage of using project management tools? The demographics appear to fall towards the adult or older professional be it a freelancer or CEO who work on a daily basis and the age lies between 21- 40. And it is seen that approx 60% of male and 40% of females tend to use project management applications. During this time, it is seen that some of the users would use other applications like dropbox paper, google drive to save their files in parallel with project management application, but now the percentage of users have been increased and have been using only the project management as all in one tool. Firstly, I recognized the competitors in the application, in order to learn from the strength & weakness of competitors. I did research & analysis of the apps like Zoho & Aasana. I compared their solution features, organization & user engagement as they were to do something that I wanted to design. Adding google logo to login with google button will create a trust and user to login. Then I recognized my target audience in order to set a common understanding of the final end user set, I created personas. Then the creation of personas led me to identify my real user needs wants, fears, motivations, usage of technology etc which helped me to design a good possible experience for the user. Based on the needs and wants found in persona, I continued with the development of features of the application in the sitemap. To define what users would like in terms of functionality and features would help me execute plans to create the main features of an application from the user’s point of view. 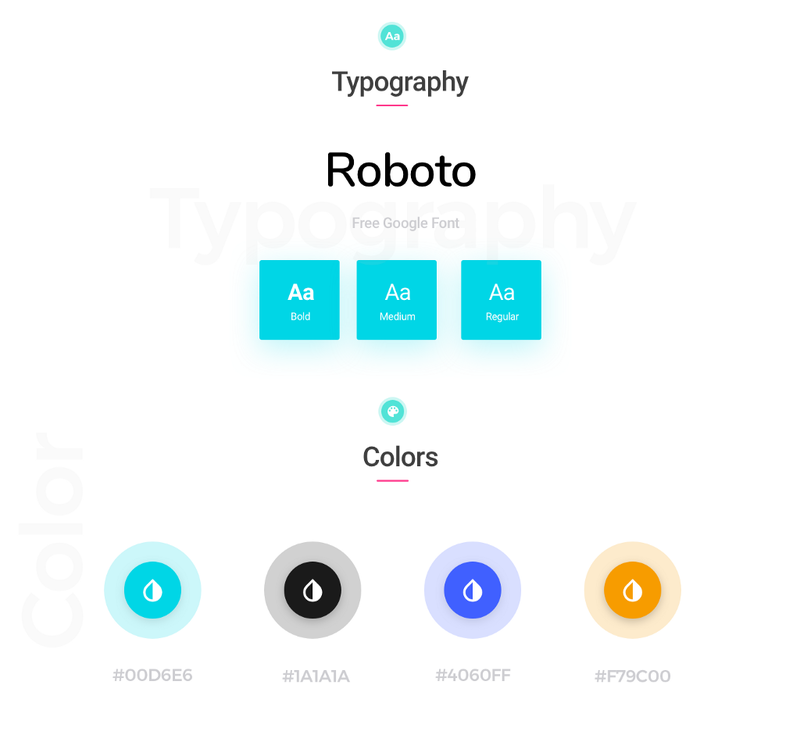 In order to deliver with the clear goals and navigation, I strategized the content into the desired scope as to how a user would wish to have in this application as a feature so that I can meet users expectations and goals. 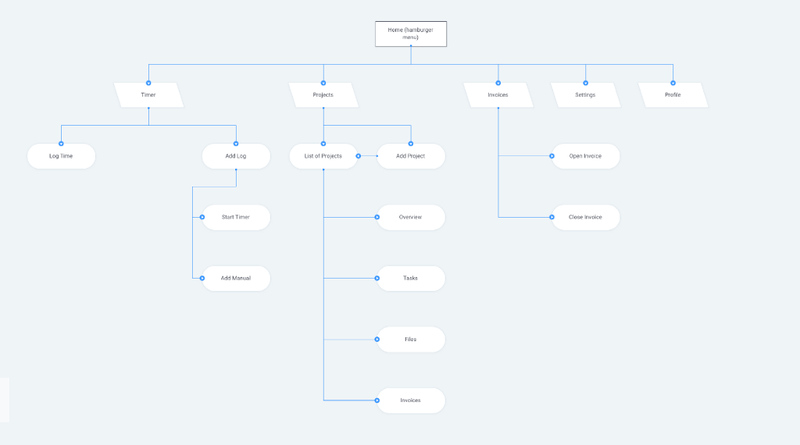 I created a site-map to set the navigation of the applications and decide how it’s main features would be placed. 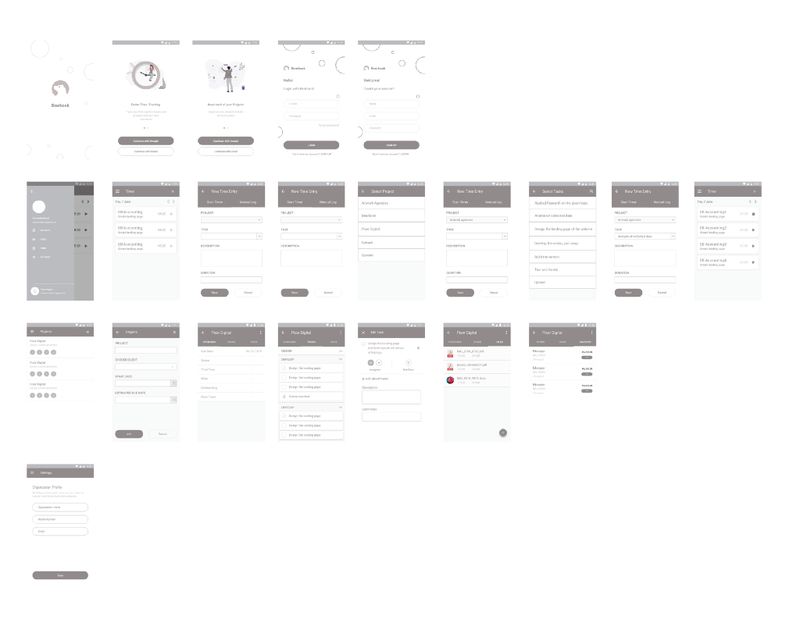 I created a wireframe for the key task, I made sure the UI was simple yet informative with necessary tools to include the features discussed above. While understanding the user flow of my application, I have a better idea of how the User Interface would look like. 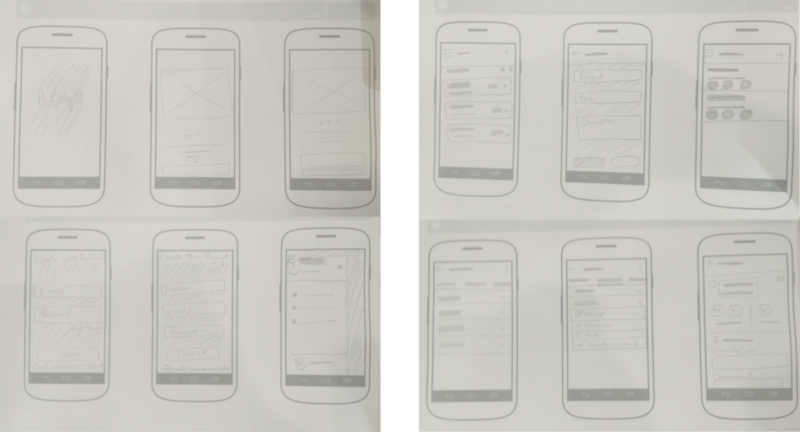 So, I made a paper sketch wireframes. I designed the interface simple, easy navigation, and informative with the necessary tools to set the features discussed above. 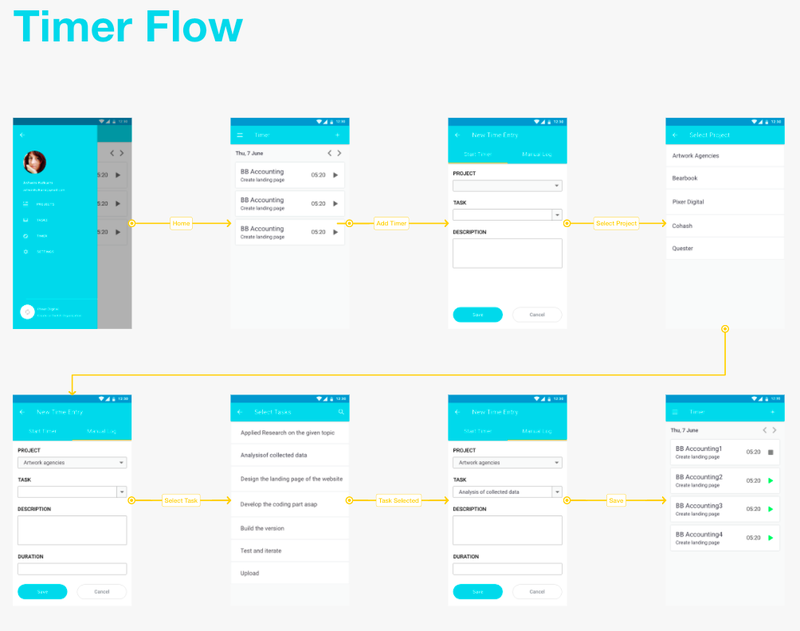 Once I am done with sketching my wireframes, I used Adobe XD to get a more good understanding of the application and its features visually such as colors, placement of elements, content & etc. The style guide went through many iterations but this one seemed to work the most in terms of color. Working on this project has been a great experience and I have learned about the user-centered design process in great detail. One of the biggest motivators in learning UX was for me to understand visual design and UI further in order to create apps with more ease and engagement. Thank you for reading! Hopeful you enjoyed this case study. If you have any feedback, I’d like to hear from you connect on LinkedIn. 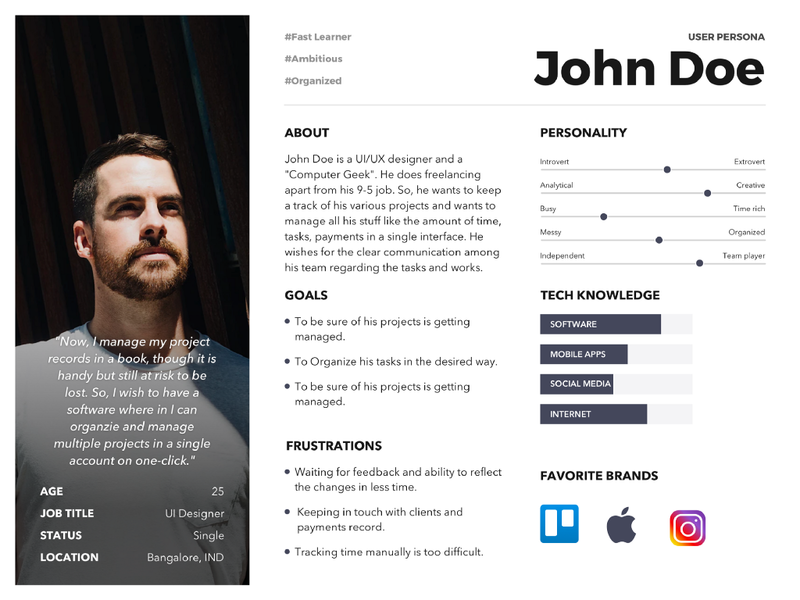 Bearbook.com (A toolkit for modern business) — UX Case Study was originally published in Prototypr on Medium, where people are continuing the conversation by highlighting and responding to this story.